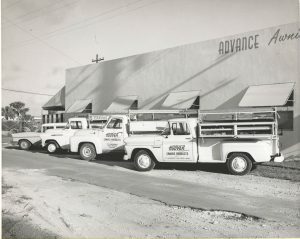 Founded in 1958, James Carroll Sr. created Carroll Awning Company and this business continues to be family-owned by his sons today. After celebrating 60 years of service, we decided to change our name to Carroll Architectural Shade to better represent our expanded product line as we introduce new innovative metal awnings and canopies to our established fabric awnings services. Carroll Architectural Shade remains committed to delivering top quality craftsmanship and service. Carroll Architectural Shade manufactures and installs custom shade, awning, and canopy structures that will turn your current design from conventional to extraordinary. Located in Baltimore Maryland, we service the Maryland, DC, and Northern Virginia regions. Our highly skilled craftsmen design and manufacture custom shade products in house, including commercial awnings, residential awnings, retractable awnings, roll-up curtains, aluminum awnings, metal seam awnings, tensile structures, and flat metal canopies. Over the years, we have adapted our services to incorporate the best technology and manufacturing processes. With our automated fabric cutting machine, we are now able to offer a more accurate, higher quality product than any other company! Carroll Architectural Shade provides industry-leading quality design and superior customer service to our clients along with a commitment to competitive pricing, premier craftsmanship, and superb attention to detail. 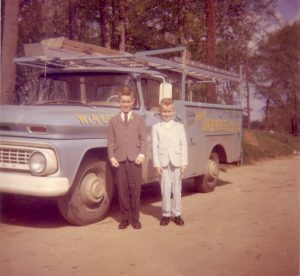 Carroll’s vision for this company is carried on by his sons, Mike and Chris, who now oversee the Carroll Family Corporation business in Maryland. The Carroll Family is also involved with Florida with Hoover Architectural and Datum Metal, which are Overseen by Matthew Carroll and currently operate manufacturing locations in Ft. Lauderdale and West Palm Beach. With 60 years of experience, we provide our customers with quality crafted designs for their every shade needs.